When it comes to neo-Darwinian evolution, the question isn’t whether Darwin’s proposed mechanism of biological change is true – we know it is because we observe it in nature. The question is whether it can explain what Darwin thought it explained: the diversity of life. While the process of natural selection working on random mutations (NS+RM) is too slow to observe in mammals, we can observe the equivalent of millions of years of mammalian evolution in mere decades using microbial life and viruses. Experimental data over the last ~20 years has shown that while natural selection working on random mutations does produce change and variation within microbial species, it does not create new species. For the previous installments: part 1, 2, 3, 4, 5, and 6. 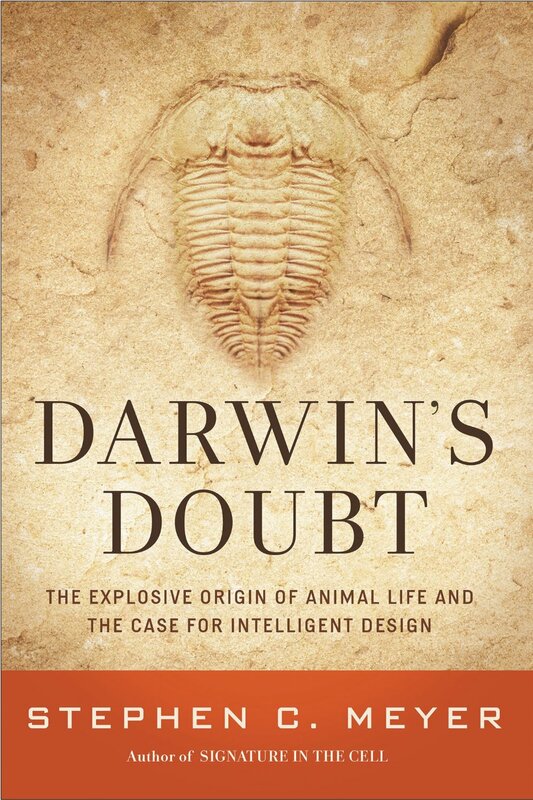 In this chapter, Meyer asks whether it is possible that the cause of the Cambrian explosion is an intelligent agent rather than naturalistic processes. He argues that it is, and that the design hypothesis is better supported by the evidence than any naturalistic hypothesis. For the previous installments: part 1, 2, 3, 4, 5. In principle, a neo-Darwinian explanation of the origin of new body plans can only work if body plans are wholly determined at the genetic level. If sources of information other than DNA are substantially responsible for the formation of body plans, then at best neo-Darwinism is inadequate as a holistic explanation for the diversification of life, and at worst it is simply the wrong explanation altogether. Once again, modern discoveries in embryological development have discovered that there are many factors other than DNA that play a critical role in embryological development. For example, it’s been shown that in many organisms, you can completely remove the DNA from the developing cells and the embryo will continue to develop up to a certain point. If DNA alone was responsible for embryological development, this should be just as impossible as driving a car without gas. If the car is driving, and there is no gas in the tank, then clearly something other than gas must be powering the car. The same is true of embryological development. While DNA is necessary to embryological development, it is not sufficient in itself. There are sources of power other than DNA that are critical to the development of the organism. Scientists call such sources “epigenetic information,” meaning it is information beyond the genetic information coded in DNA. Here’s another great video from William Lane Craig, this time on the fine-tuning of the universe for the existence of life (see also his video on the kalam cosmological argument). For the previous installments: part 1, 2, 3, 4. Scientists largely ignored the mathematicians who pointed out the seeming impossibility of creating new genes and proteins because the mathematical equations of population genetics pointed to a nearly limitless creative power of random mutations. Given known mutation rates, population sizes, and reproduction rates, there seemed to be no end to what evolution could accomplish. The problem with this conclusion is that population genetics is based on some assumptions that we now know to be false. Hundreds of proteins are often required to create a complex system. To build that system would require changes to hundreds of genes. Furthermore, because the function of these systems depends on the coordination of several well-matched parts, these new proteins (or proteins with new functions) must arise at the same time. To change or improve the function of a single protein typically requires multiple, coordinated amino acid changes, which in turn requires multiple, coordinated changes in the DNA. Because the new function depends on the coordination of multiple mutations, every mutation must be present in the protein at once. For the previous installments: part 1, 2, 3. In the early 1960s, MIT professor Murray Eden set his mind to discover whether neo-Darwinism could account for the origin of new organisms. He knew life was based on a genetic code, and based on our shared experience of all other coded systems, he assumed the sequence of nucleotides was absolutely critical to its function. If you start adding, deleting, or moving pieces of a digital code, for example, the meaning (function) is degraded or even lost. If we can’t create a better program by randomly adding, deleting, and moving pieces of digital code, why think a Darwinian process that makes random changes to the DNA code could build better and novel organisms (indeed, why think a coded system could ever be built by random processes to begin with)? In 1966, Eden and other colleagues convened a conference at the Wistar Institute in Philadelphia. The conference was titled “Mathematical Challenges to the Neo-Darwinian Interpretation of Evolution.” The conference sought to explore the creative power of natural selection acting on random mutations. Those present recognized that there are an enormous number of ways to combine amino acids together to form protein chains. And while they did not know precisely how many combinations could result in a functional protein compared to those that could not, they did know the number of functional combinations was extremely small. For the previous installments: part 1, 2. If common ancestry is true, we would expect the evolutionary tree of life (TOL) based on animal morphology to line up with the evolutionary TOL based on molecules, but they don’t. In fact, there is no one TOL based on morphology or one TOL based on molecules. There are multiple TOLs. Interestingly, a comparison of different genes from the same organism can result in different TOLs for that organism. The same is true of morphology. For example, when the TOL is constructed based on germ-cell formation (which is basic to the evolutionary process because it underlies reproduction, and we would expect for all organisms in a branch of the TOL to have the same germ-cell formation) it leads to one TOL, but this TOL differs radically from TOLs constructed based on body-play symmetry, the number of primary tissues, or the mode of development. Looking at the Cambrian pyla specifically, there is no one TOL showing what the ancestry looked like leading up to the Cambrian. Convergent evolution is a word to describe how similar morphological features develop in different species, where that feature was not shared by their common ancestor. There are many examples of so-called convergent evolution. But convergent evolution undermines the presupposition underlying the theory of common descent: similar homology indicates similar ancestry. Convergent evolution demonstrates that homological similarities do not necessarily imply a common ancestry. Convergent evolution negates the logic of the argument for common descent from homology.